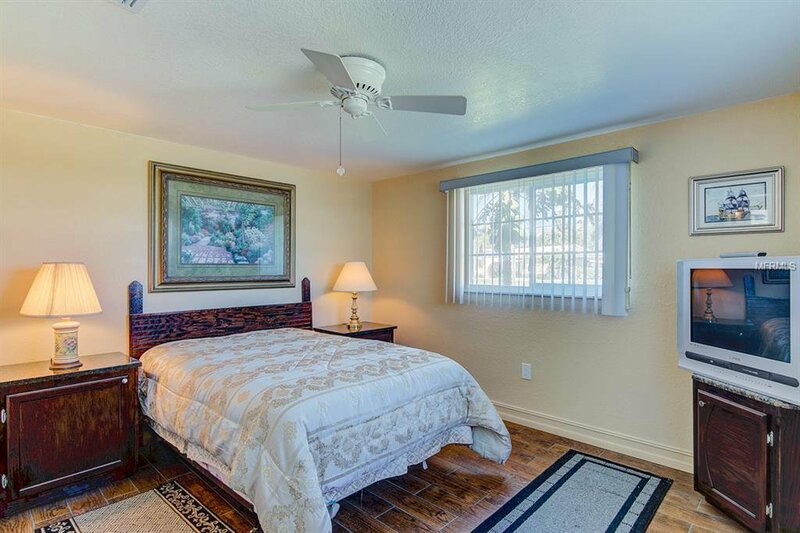 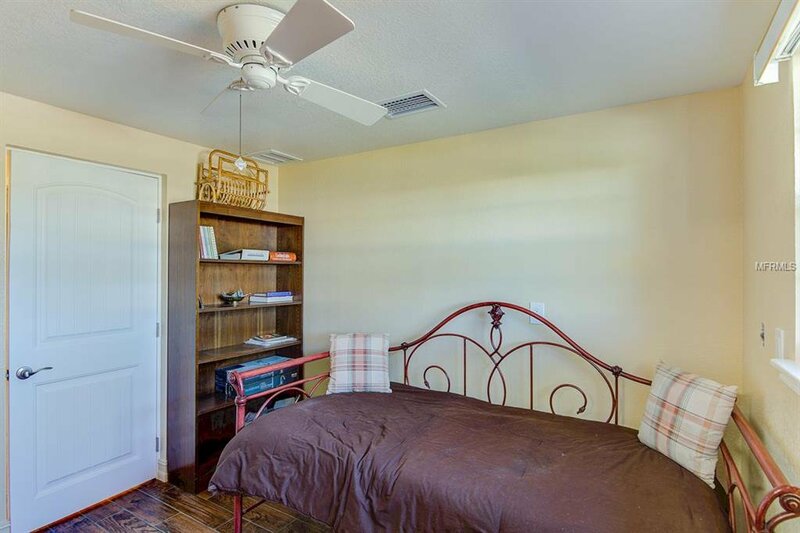 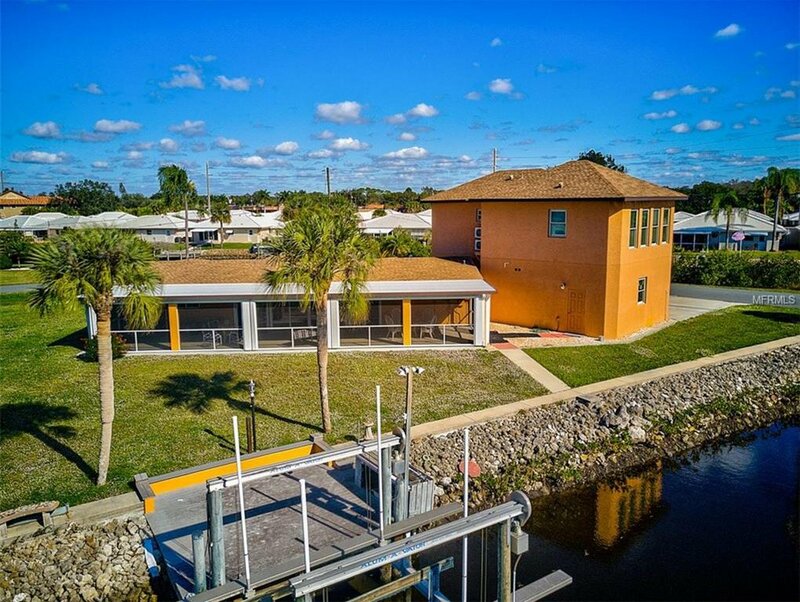 This canal front 3 bedroom 2 bathroom home, that was originally built in 1963 and then renovated and added onto in 2017 has an additional 1 bed 1 bathroom block built guesthouse with kitchen and family room that is located above the 3+ car garage. 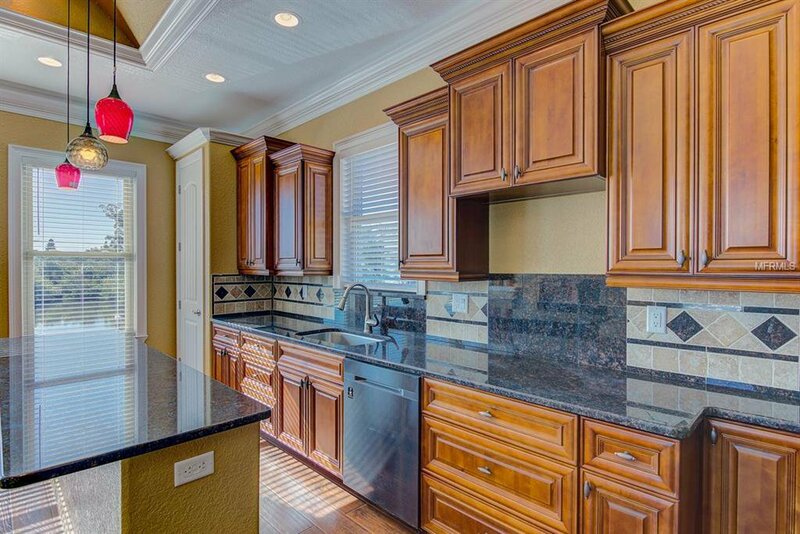 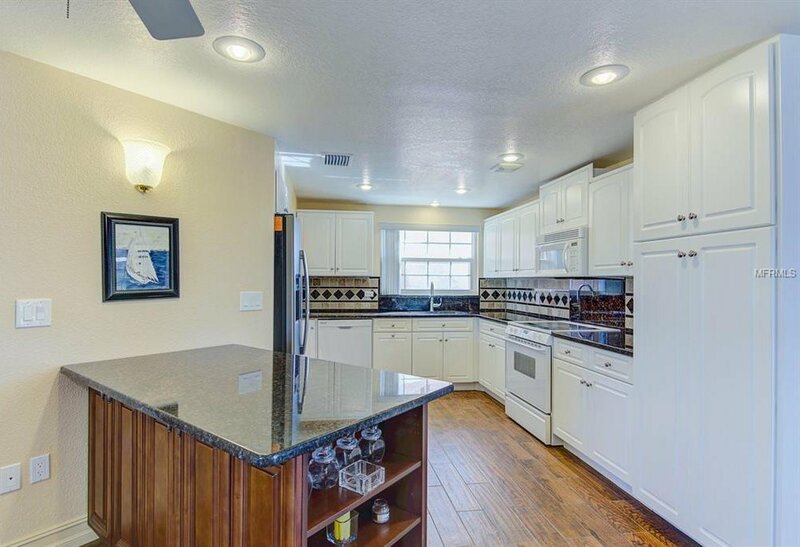 The guest house, which has granite counter and premium finishes, has canal views from the kitchen and family room and has not been occupied since it was built. 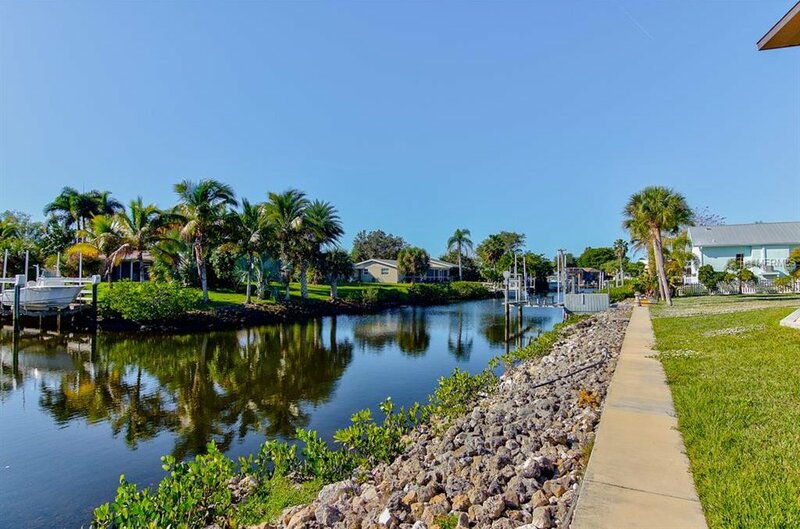 The canal is 135 long with no bridges to open bay and no fixed bridges to the Gulf of Mexico and the back faces the west so you will enjoy our amazing sunsets. 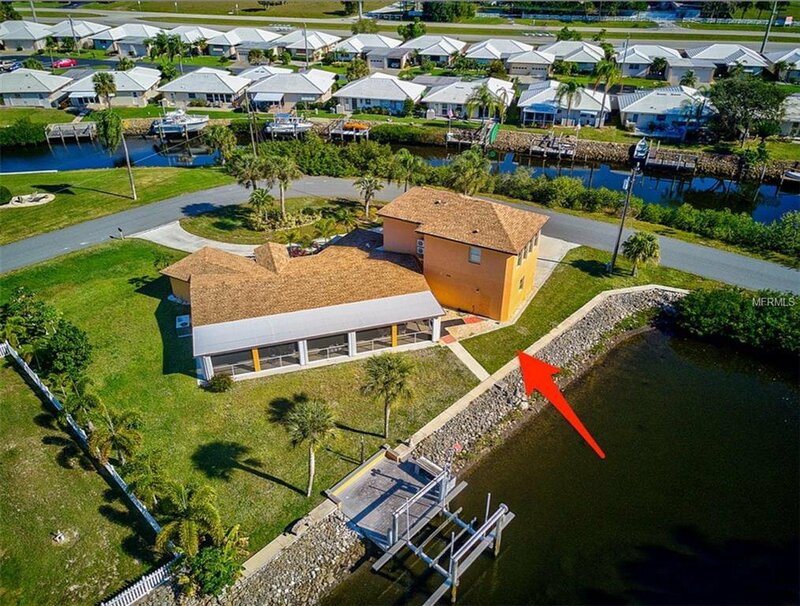 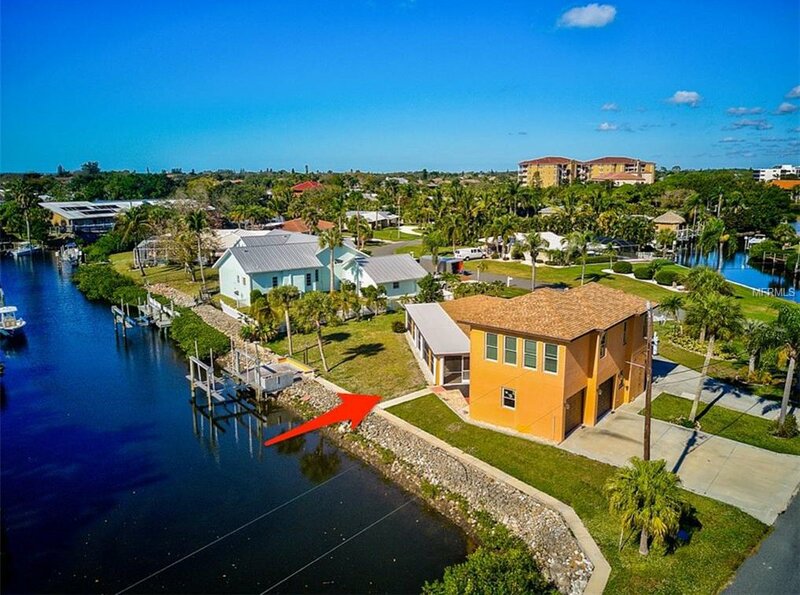 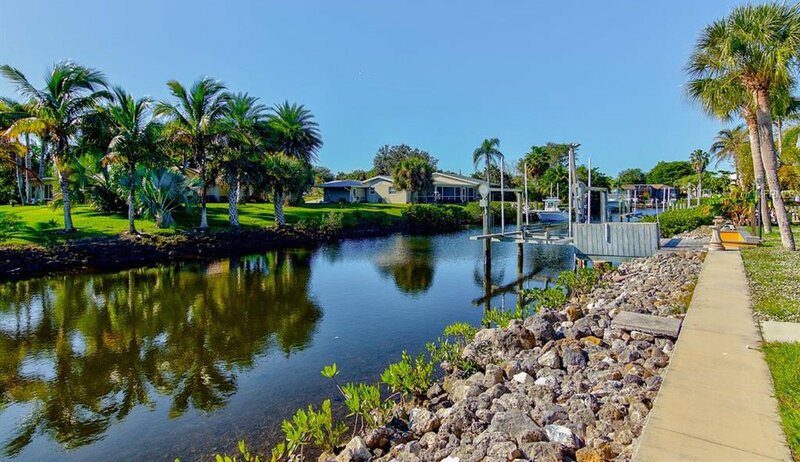 The 50 foot long lanai that has accordion hurricane shutters and is screened and provides a direct view to the canal and boat dock with a 10,000lb lift. 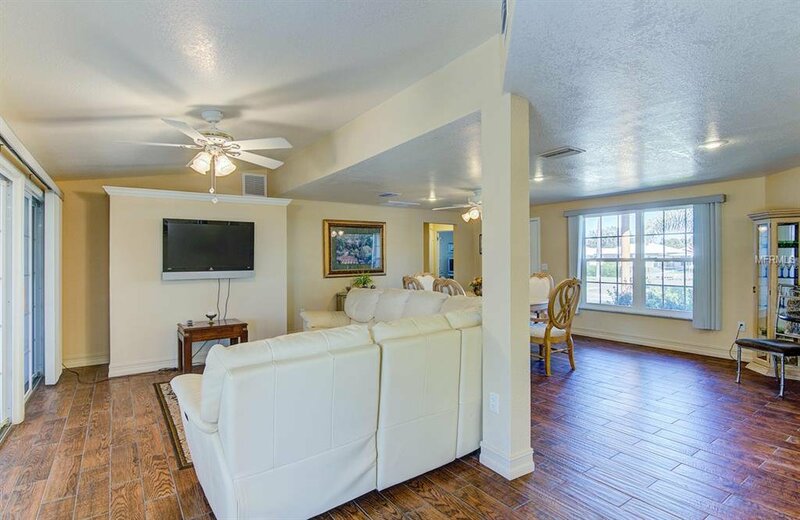 New hurricane impact windows in both structures and a new roof installed in 2016 provides extra security for owners and guests. 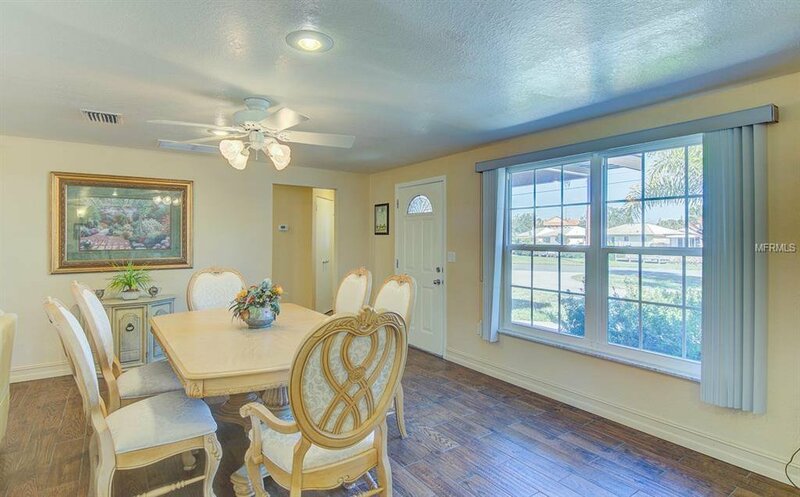 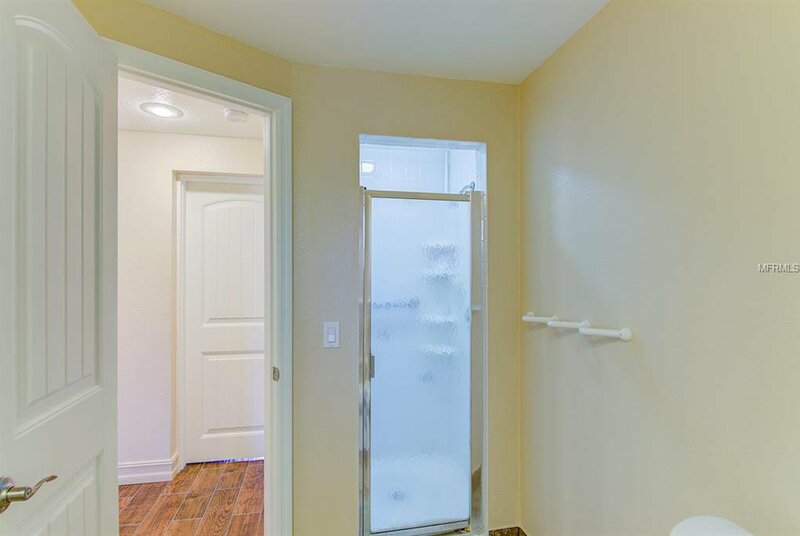 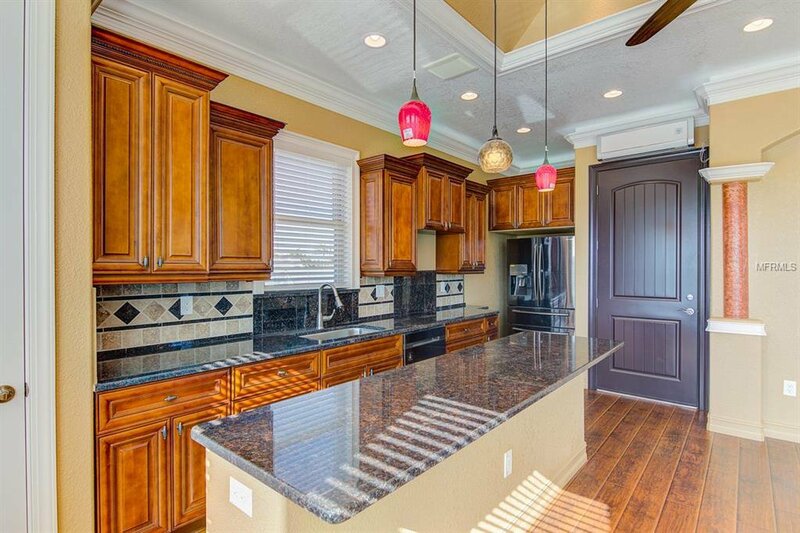 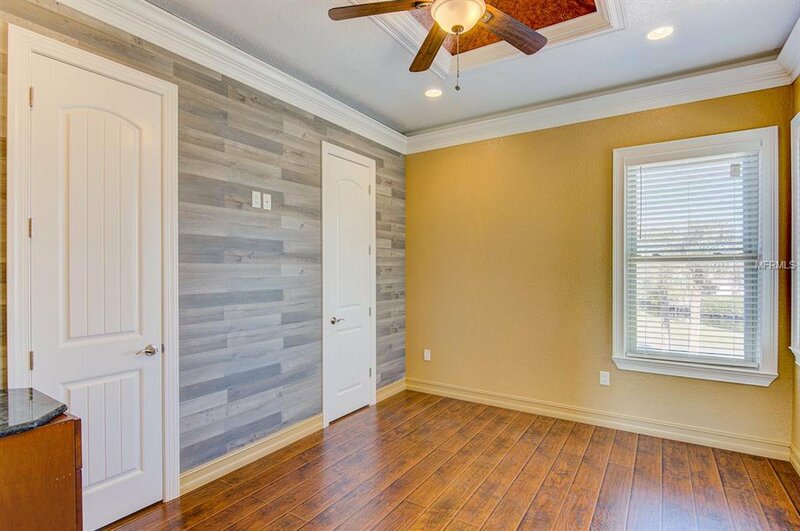 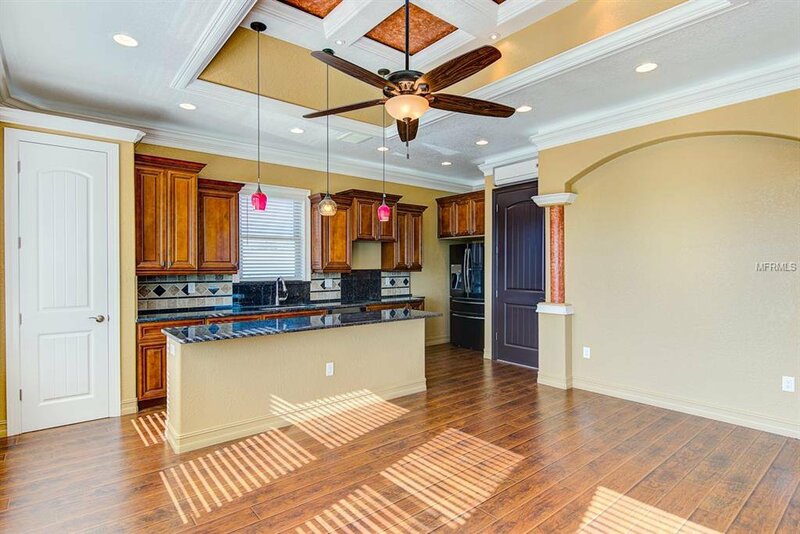 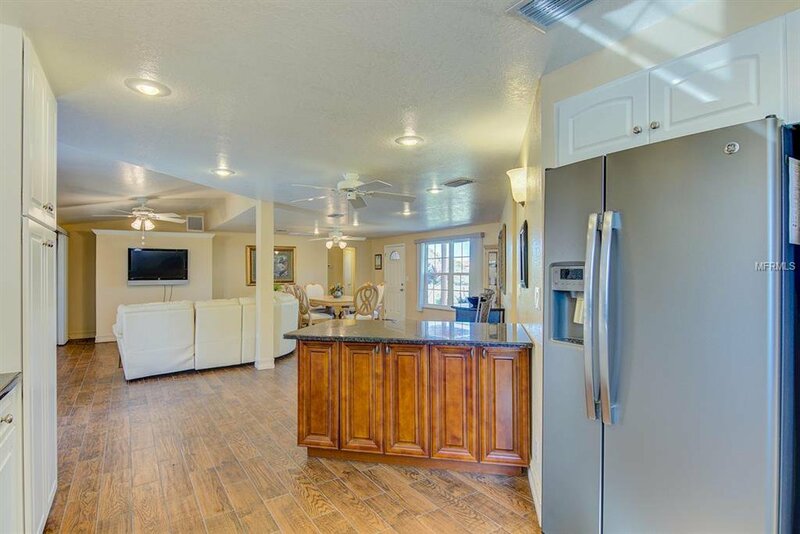 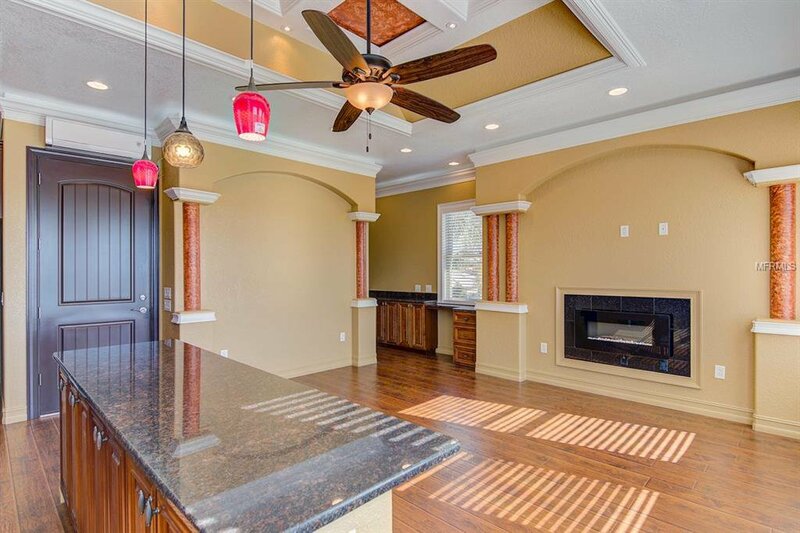 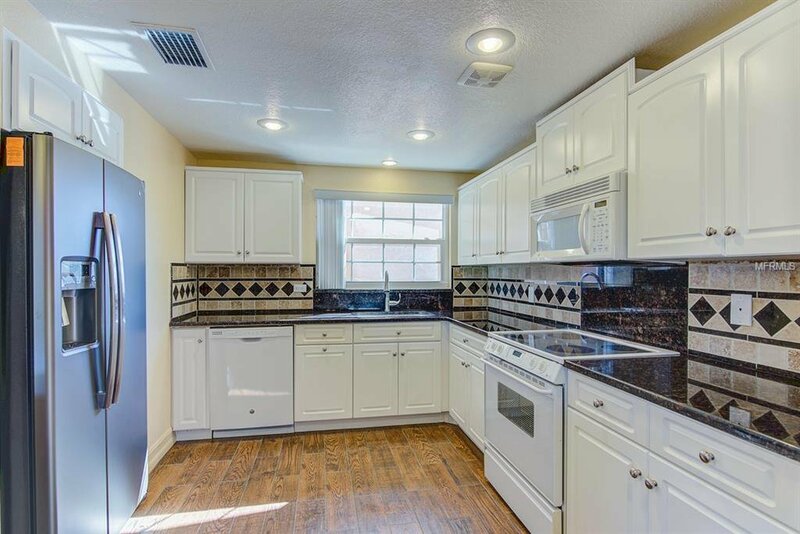 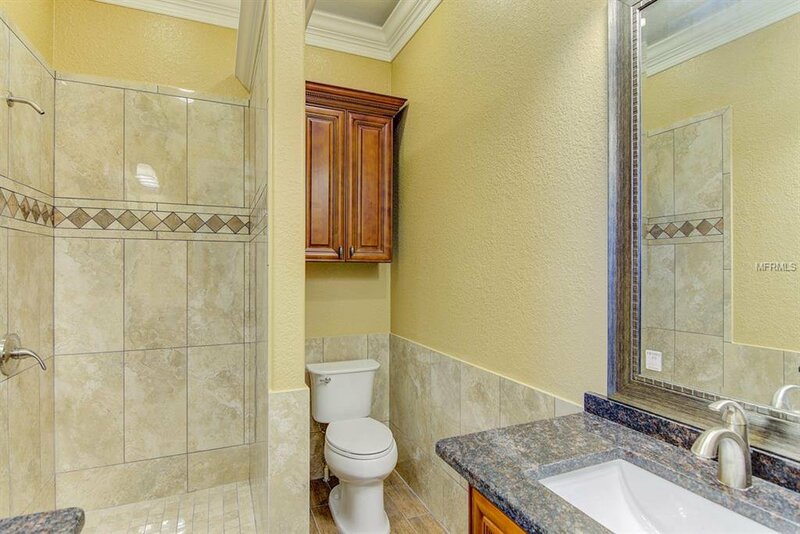 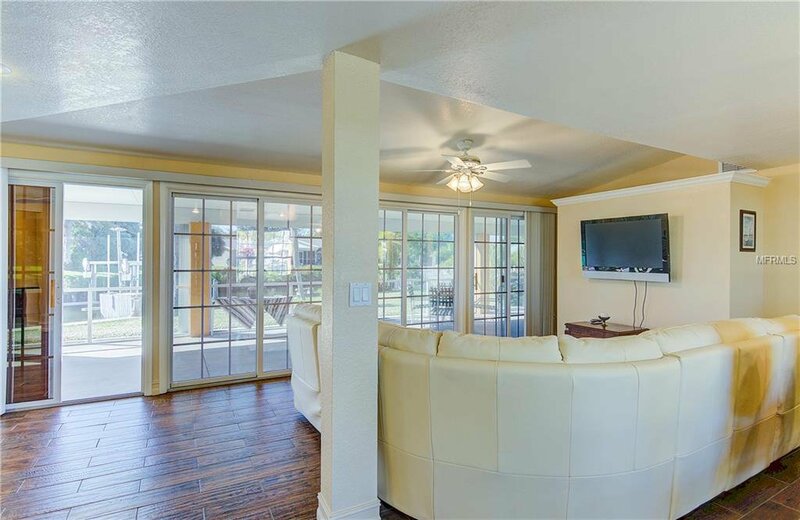 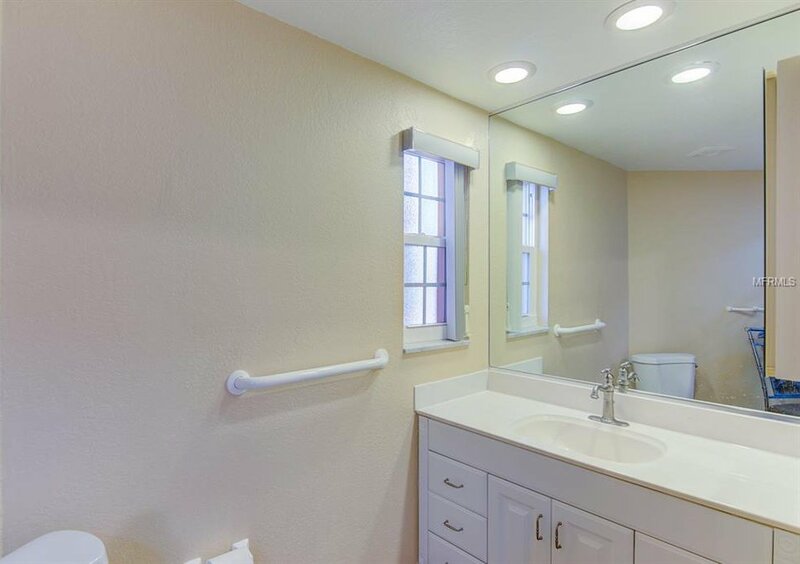 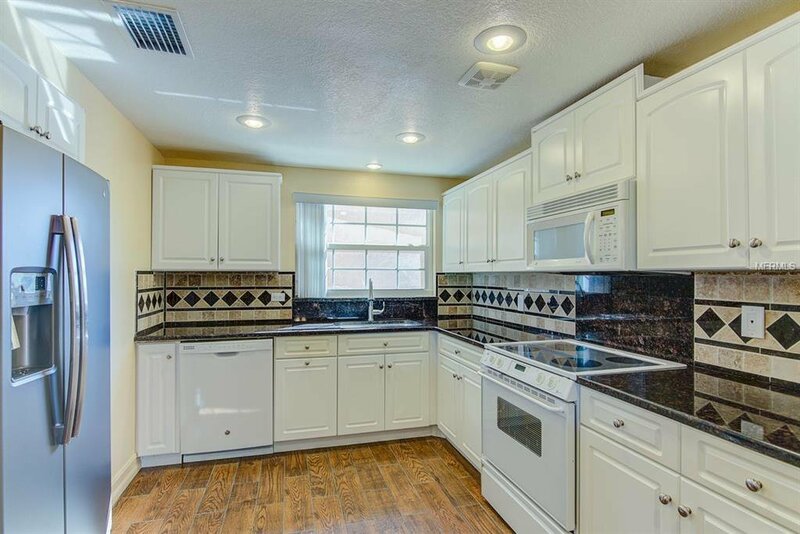 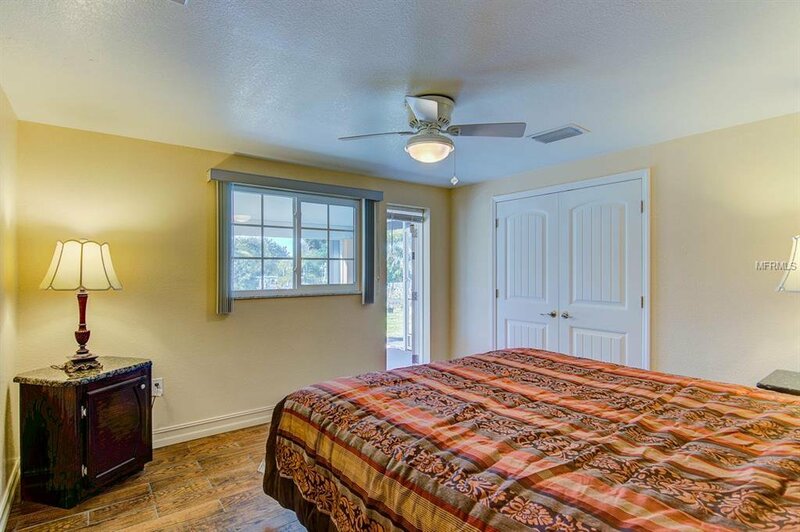 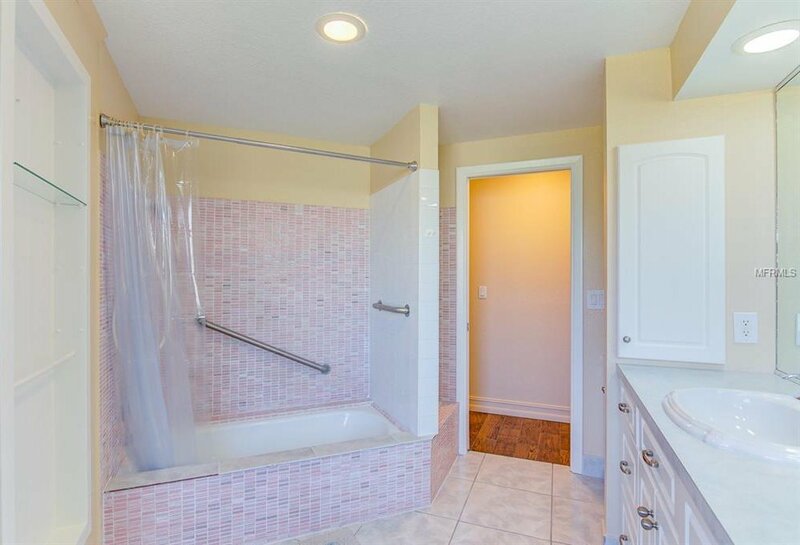 The main 3/2 home has new porcelain tile floors in the entire home, newer kitchen cabinets, granite tops, center island, stainless refrigerator and a new dishwasher. 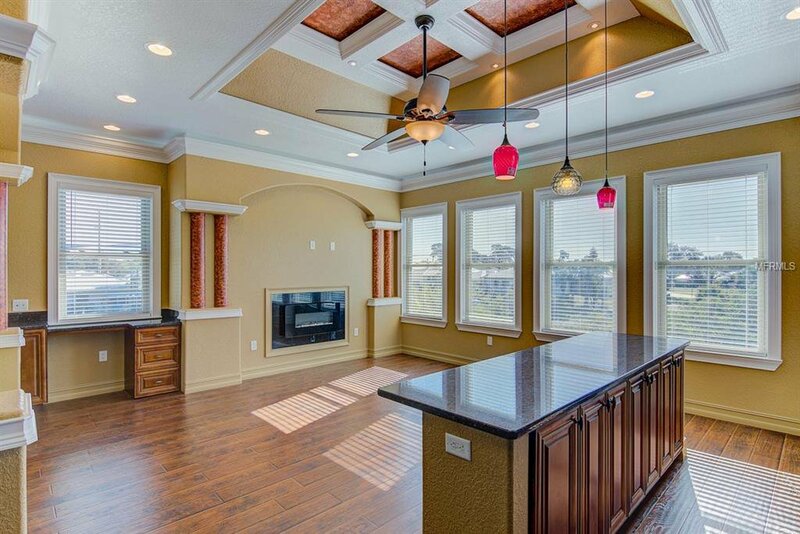 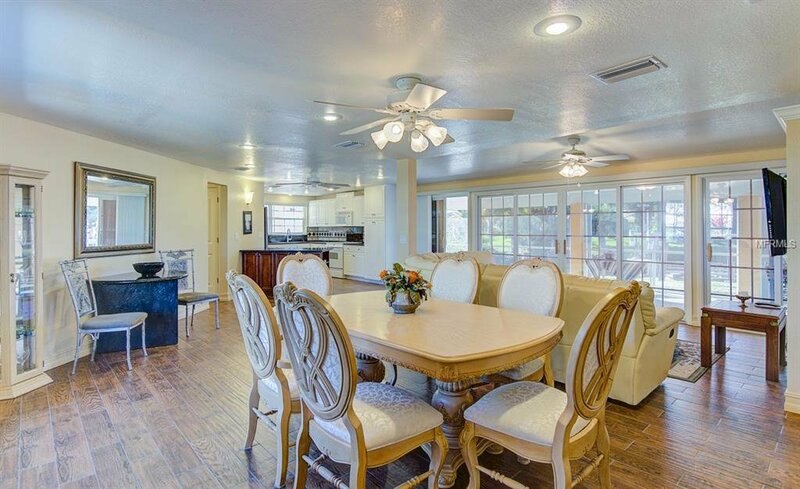 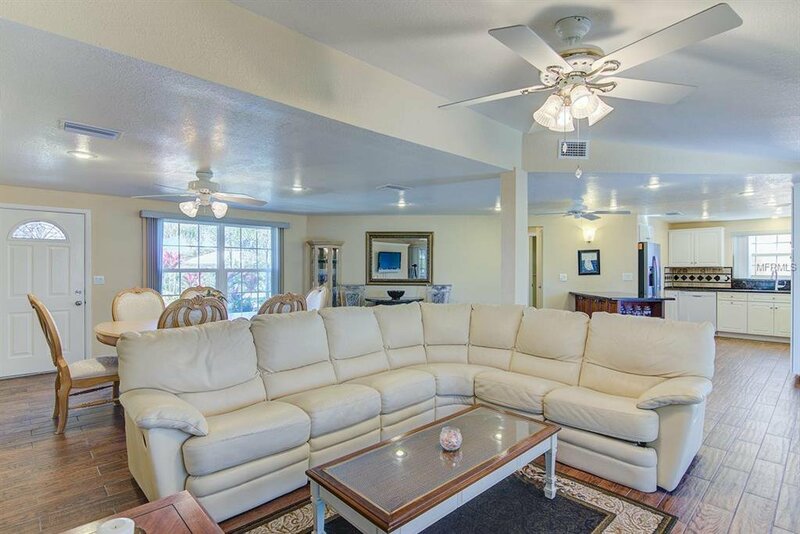 The open floor plan and outstanding views are a highlight of this property. 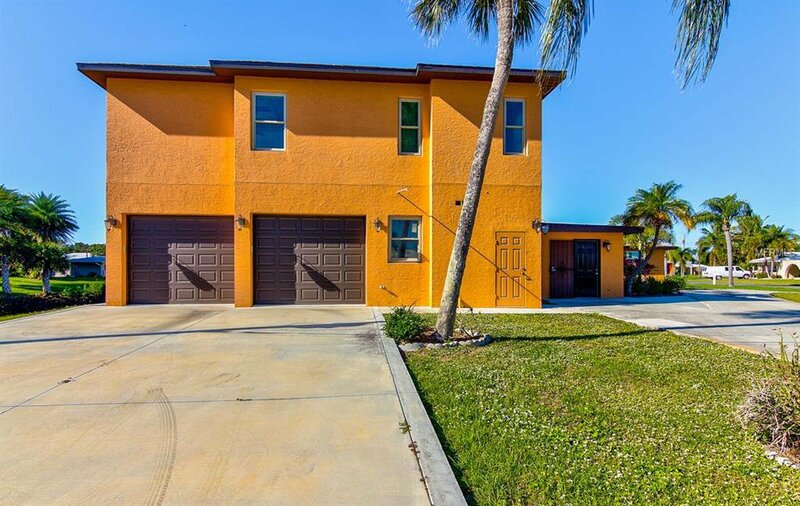 There is plenty of parking with a circular driveway in front and a double driveway on the side. 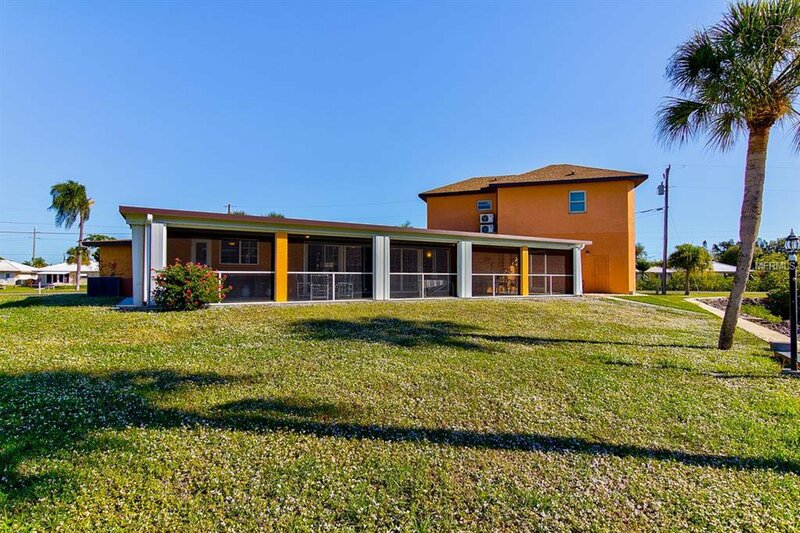 The property sits on over 1/3 acre of land. 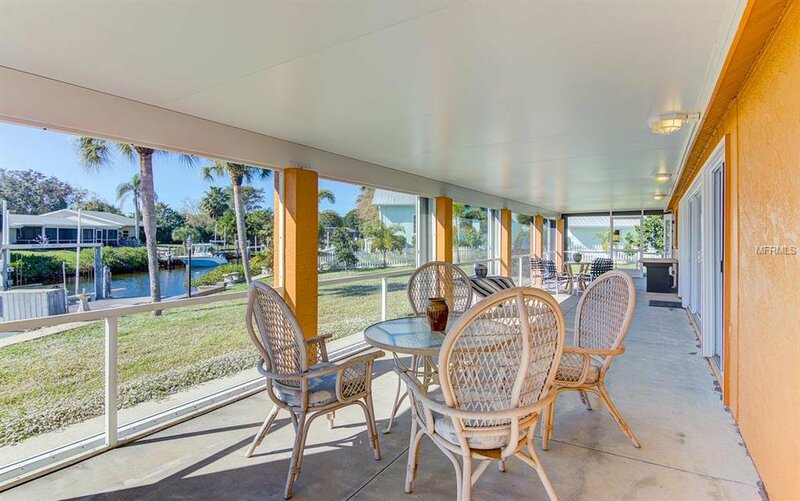 Both buildings are surrounded by magnificent water views and landscaping enjoyed from almost every window. 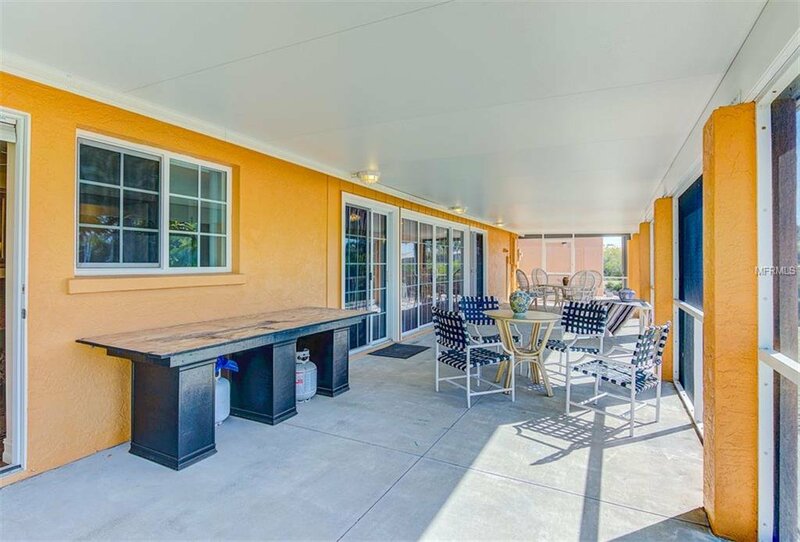 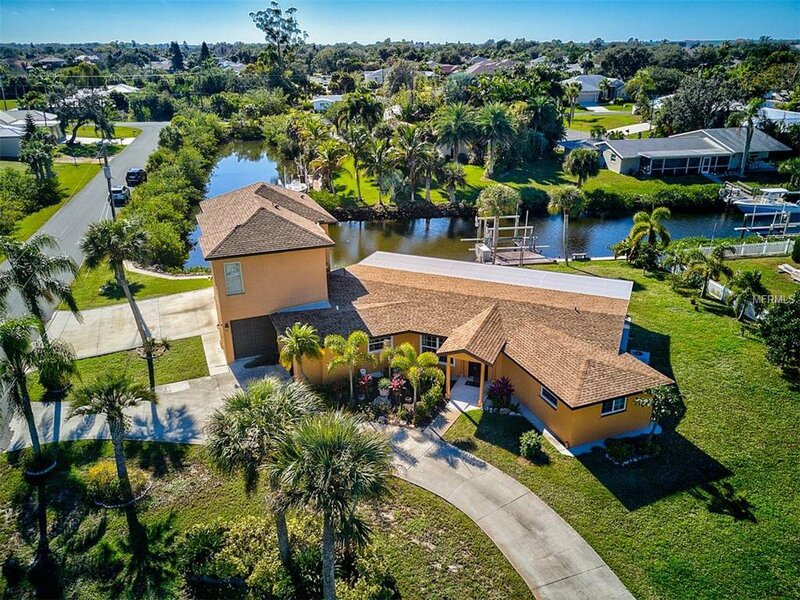 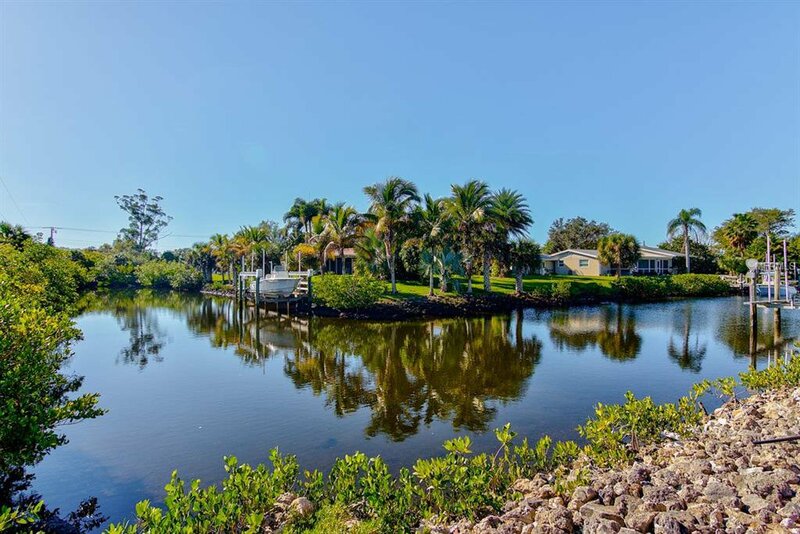 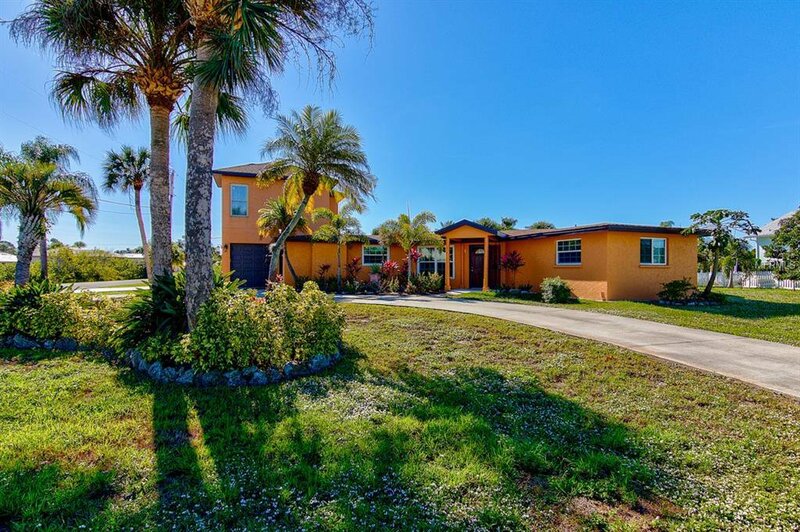 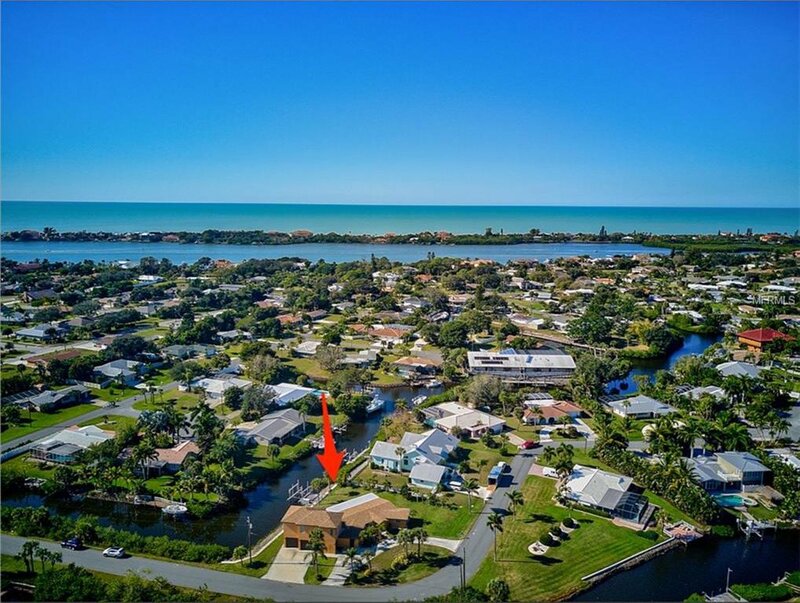 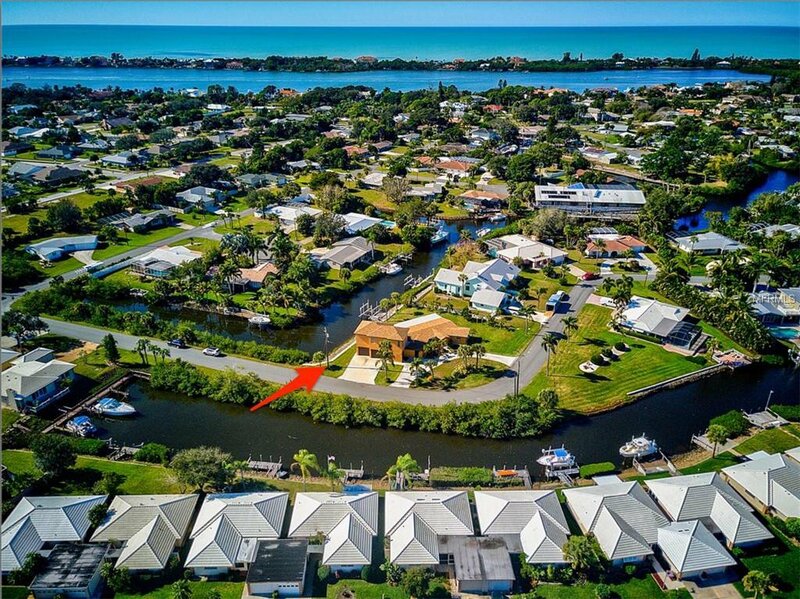 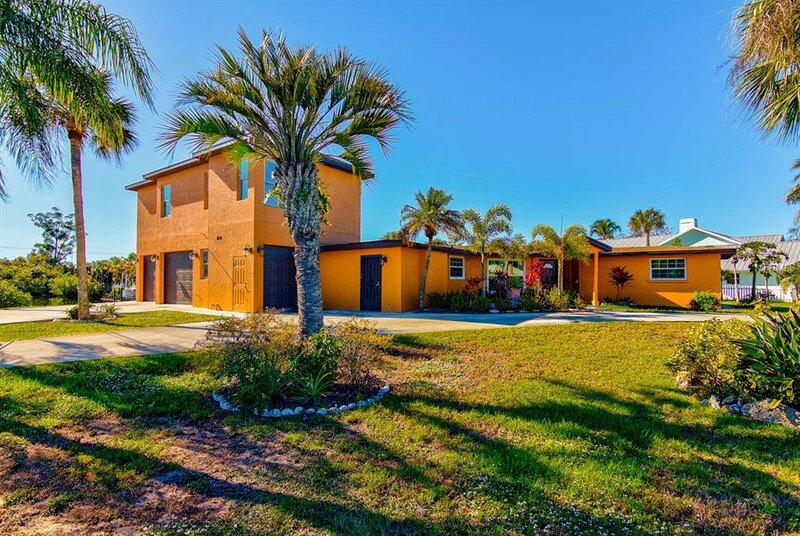 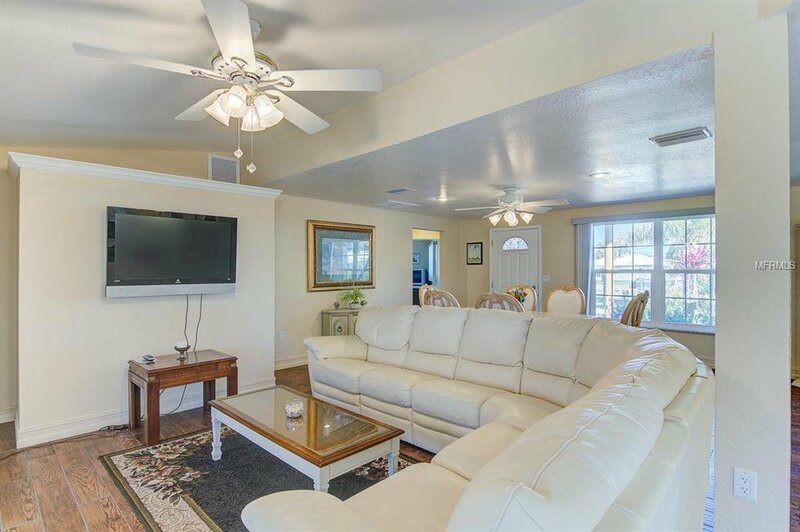 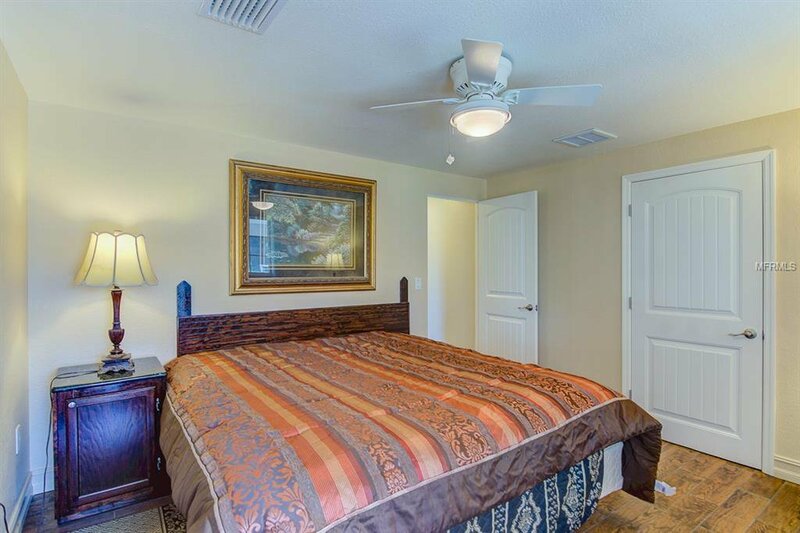 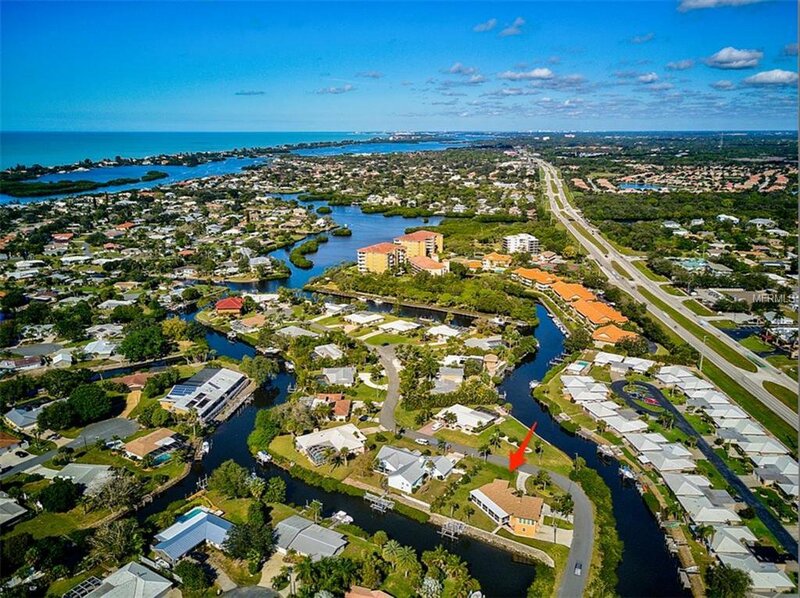 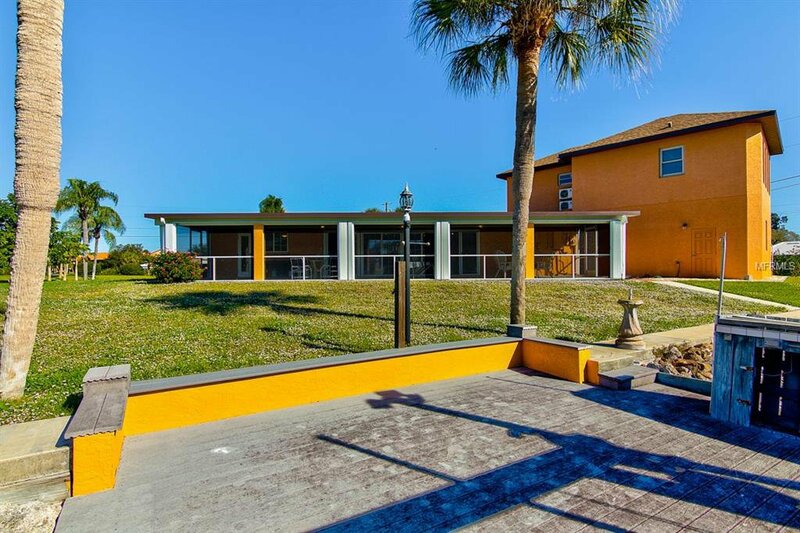 This beautiful home in Sorrento Shores is located between Venice and Sarasota close to shopping, dining, beaches, and I-75. 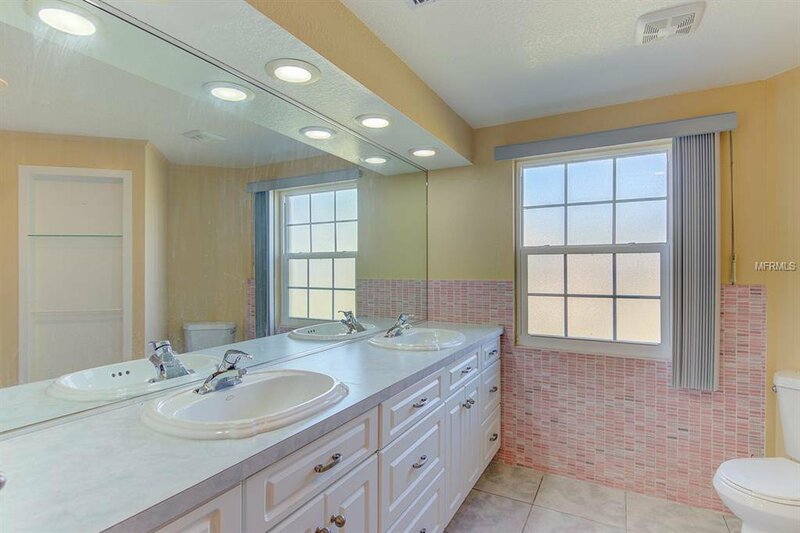 Click on the additional links to view the 3D tour and custom video.